No matter how far I delve into my new mission in foodblogging, I can't escape my roots in fashion. 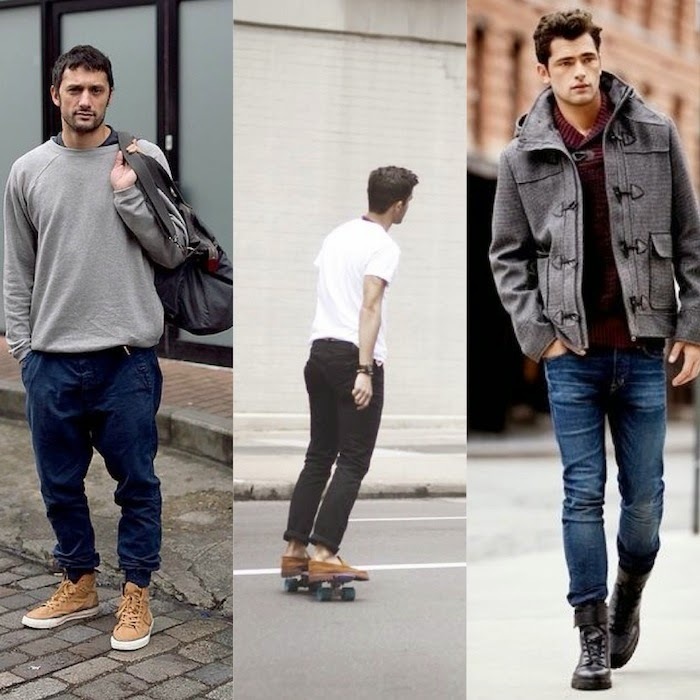 Thus, when approached by a girl friend who admitted to being flustered about her boyfriend's non-style, I decided maybe it was time to do a little 101 on how boys should dress. I myself a huge fan on unisex and understated dressing, I figured a good way to start was by listing bulletpoints as a guide - and starting with the basics. I've dated guys with different dressing styles - most men stick to what's safe, so sometimes you need to help them out a little, especially when they ask for help. I've had many fun trips to the mall with them.. I love dressing men and showing them styles they never thought they could pull off. If you are a bit of a style nazi like myself, your man might get intimidated and not know where to even start in matching your look. I always always prefer an understated casual look - but I will never say no to a man in a good suit. As for us girls - know your body and what looks good on it. Stock up on basics. Not everyone can pull off bold prints and trend pieces, but every man looks good in a plain white t-shirt. Invest in great footwear - and take care of them. Timeless shoes will go a long way. 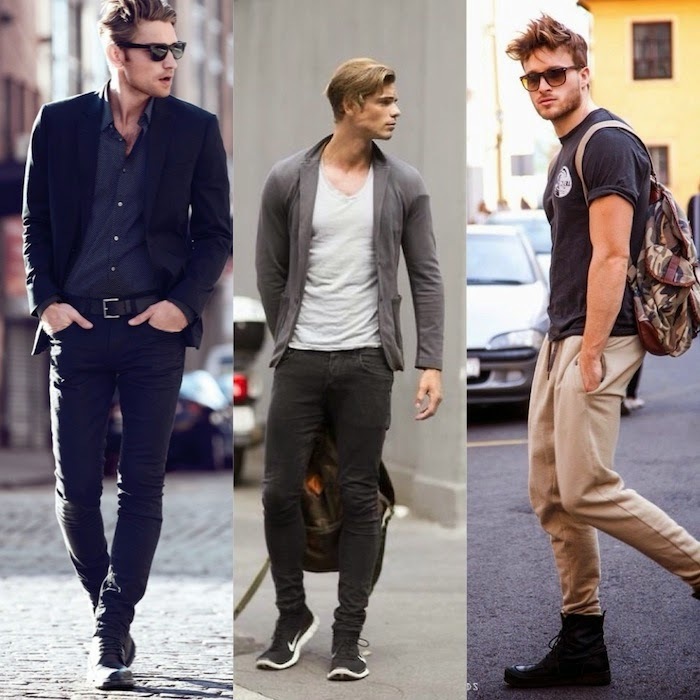 Wear your pants like they fit you - chinos look good on every man, as long as they don't look like your crotch will pop when you sit down. Know what to pair with what - this goes especially for the pants + shoes combo. Less is more - monochromes are always a good choice, so stick to black and whites and neutrals, except for those days when you are feeling a bit more adventurous. Don't be afraid of accessories - but make sure they work with the rest of the outfit. And don't pile them on - you don't want to out-accessory your girlfriend. Wait - this list could go on and on. The bottom line is - find clothes that fit you well. And when all else fails - watch Ryan Gosling in Crazy Stupid Love.. or ask your girlfriend. She knows, haha. Nowadays women are very beauty conscious. They don't hesitate to grab something like stylish shoe that can make them look smart & fascinating. Today's world has turned out to be so professional that creating impression matters a lot. Only look can't do much unless you have presented yourself well before the world.If you want to know about Best Cross Training Shoes for Flat Feet. Visit our site.